Luckily, the best maintenance companies in Newcastle can take over this responsibility and thanks to Infoisinfo you will be able to find from a handyman to a facilities management professional for building maintenance. Also, you will discover the best automobile services to get your car engine and any other part checked, garden maintenance companies to look after your lawn and cleaning services among others. At Infoisinfo we always work hard to be able to provide you with the most useful information possible so that you can easily find the best products and services for your or your company in Newcastle. This time, we would like to help you to properly take care of your properties so you can avoid the need of major repair tasks and so, you save money. Therefore, we have prepared a list of the best maintenance companies in Newcastle for you to choose from. Servicing Newcastle and the Hunter region. 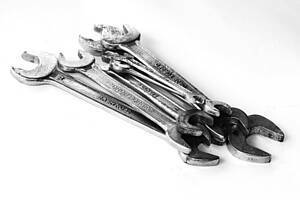 Handy property maintenance is a all in one home and yard service. Unit 15, 11 Mcintosh Dr, SteelRiver Industrial Estate, Mayfield West, NSW, 2304, Mayfield West. Newcastle. NSW. With access to a team of fully qualified trades people. For all your domestic, commercial and industrial property maintenance needs. Po Box 90, Newcastle. Newcastle. NSW, 2300. PO Box 1065, Newcastle, NSW,2300, Newcastle. Newcastle. NSW. Po Box 14, Mayfield West, NSW,2304, Mayfield West. Newcastle. NSW. Unit 4, 45 Hunter St, Newcastle,NSW, 2300, Newcastle. Newcastle. NSW.